Of all the corners of the world, Asia is perhaps the most intriguing. Home to architecture, religions, and philosophies which depart considerably from the rest of the world, its nations has captivated travellers for generations. While there is a long list of intriguing countries to visit, one stand out above the rest. If you are thinking about going on a holiday to China, it is easy to be overwhelmed by the sheer quantity of potential destinations one can visit within this Asian giant. On an initial visit to this country, it’s best to keep things simple by focusing on one or two major regions. Below, we’ll highlight four cities which provide enough attractions on their own to give you a fulfilling first encounter with China. The current capital of China and the centre of kingdoms during the Ming and Qing dynasties, Beijing is a city filled with palaces and other historical attractions. Spend an entire day wandering the sprawling campus of the Forbidden Palace, then head over to the tranquil Summer Palace the following day. Plan a trip out to the Great Wall during your visit, as some of the best-preserved sections of the world’s most ambitious fortification can be found within a couple hour’s drive of Beijing. A port that has long been an important window to the world for China, Shanghai has thrived ever since trade ties were liberalised with the West in the late 20th century. A forest of glass, steel, and concrete has risen to dwarf the traditional European architecture found in The Bund, a district home to traders and diplomats for centuries. Spend your time exploring this district first, but then make your way to the futuristic Pearl Tower, which provides an outstanding view of the modern face of Shanghai. If the frenetic pace of life in this megalopolis begins to wear you down, spending an hour or two in the peaceful Yu Garden will help restore your sense of peace. With an abundance of trees, ponds, pavilions, and sculpture, you’ll be in a better place within minutes of your arrival. As the oldest city in China and the starting point/terminus of the Silk Road, planning a trip to Xi’an is a must for history enthusiasts. The centre of China from the Western Zhou to the Tang dynasty, there are a lot of royal remnants to be found here, the most prominent being none other than The Terracotta Warriors. An entire army carved out of stone, it was constructed to grant Emperor Qin Shi Huang protection from any enemies he would encounter in the afterlife. 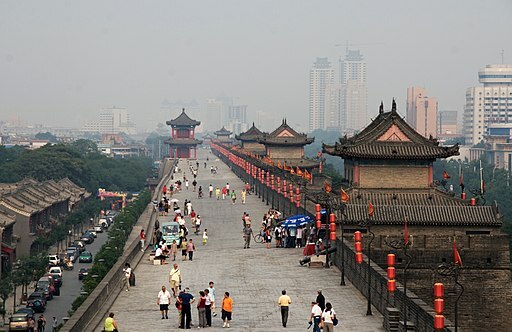 Other attractions worth seeing in Xi’an include the city wall, the Muslim Quarter, and the Big Wild Goose Pagoda.